Reading over the Easter holidays (as one does) a good book like When Computing Got Personal: A history of the desktop computer [Kindle Edition] by Matt Nicholson, one is reminded that the birth of open source as a wider movement goes back further than the last 25 years of Linux. Nicholson helps to remind us that the sharing and dissemination of component construction information predates even the Internet and that IBM went through a series of lawsuits way back when Thomas Watson was steering the company through its initial development of punch card tabulating machines back in 1914. Fast forward to 2014 and we understand open source to be largely associated with technology, and predominantly, software technology — with hardware as a reasonable additional interest. But what does open source really mean to the world of industry at large? 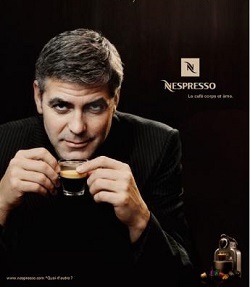 Look at Nespresso the company that run by head coffee brewing barista George Clooney (Ed: we don’t think he actually works for them OK?) with its colourful “coffee pods” for its no-mess coffee machines. Quite apart from these thing being an (arguably) environmental packing disaster (although they are starting to try and use recyclable materials in the future), the firm has had a virtual monopoly on the production of coffee pods for its own machines up until now. Nespresso parent company Nestlé has just reached an agreement with France’s antitrust authorities to now extend the guarantee on its fancy coffee machines to customers who use pods other than its own, branded ones. This means that George Clooney will now personally remove the warning on all Nespresso coffee machines that tells customers only to use its own capsules. The University of Wisconsin-Madison has started its Open Source Seed Initiative (OSSI) to help publicise the fact that there are now 29 kinds of plant varieties available under an open source license. The OSSI group is run by scientists and is currently releasing 29 new varieties of crops (including carrots and broccoli – and also celery, kale, quinoa) under what it has labelled as an “open source pledge” to defend the ability of farmers, gardeners and (possibly most importantly of all) plant breeders to share seeds freely around the industry. “These vegetables are part of our common cultural heritage, and our goal is to make sure these seeds remain in the public domain for people to use in the future,” says UW-Madison horticulture professor and plant breeder Irwin Goldman, who helped write the pledge. The Open Source Seed Initiative (OSSI) was established in 2011 by public plant breeders, farmers, non-governmental organization staff and sustainable food systems advocates from around the nation concerned about the decreasing availability of plant germplasm-seeds-for public plant breeders and farmer-breeders to work with.